From the first day of veterinary school, students are taught that “cats are not small dogs”. I’ve said this phrase before and, undoubtedly, I will say it again. There are many quirks and idiosyncrasies to our feline friends, and their unique physiology. This can make life challenging for veterinarians, especially when it comes to prescribing certain medications for our kitty patients. There are many drugs that, while perfectly safe to humans and to dogs, can be highly toxic to cats. Cats lack an important hepatic enzyme called glucuronyl transferase; this enzyme, present in high numbers in people, dogs, and other mammals, allows for elimination of medications and toxins from the body. Many of the most commonly used medications in humans, such as aspirin, Tylenol, ibuprofen and other non-steroidal anti-inflammatories (NSAIDs), are metabolized through glucuronyl transferase. Since cats lack this enzyme, they cannot process certain drugs and can develop life-threatening toxicity if a well-meaning owner inadvertently gives Fluffy Tylenol or Advil. Tylenol toxicity in cats can cause methemoglobinemia, a blood disorder in which an abnormal amount of methemoglobin (a form of hemoglobin) is produced. Hemoglobin is the molecule in red blood cells that distributes oxygen to the body. Methemoglobin cannot release oxygen. When kitties develop methemoglobinemia, their hemoglobin is unable to release oxygen effectively to body tissues; this can result in an inability to breathe, an elevated heart rate, and pale or muddy mucous membranes. Tylenol can also cause liver failure. 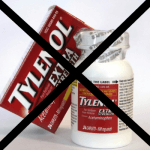 The good news is that there is an anecdote for Tylenol toxicity (called N-acetyl cysteine), which can be effective if the problem is identified and treated early. Frighteningly, other pain relievers, particularly aspirin and NSAIDs, can cause acute kidney failure in cats. These drugs also damage the GI tract, causing ulceration of the stomach and small intestine (gastric and duodenal ulceration). For the record, many of these drugs are also toxic to dogs, but for a different reason. Drugs such as NSAIDs undergo enterohepatic circulation in dogs, which means they are processed by the liver, excreted into bile, secreted into the small intestine, and are then reabsorbed and transported back to the liver. This cycle means that certain drugs can take an exceedingly long time to be cleared by Fido’s body, and thus the risk for side effects such as gastric ulceration and liver damage is much higher. Since so many medications routinely used for pain and inflammation are dangerous for cats, veterinarians have been limited in our analgesic options for these patients. We routinely use narcotics for kitties who are in pain; these are safe drugs, but they can be sedating and do not reduce inflammation. 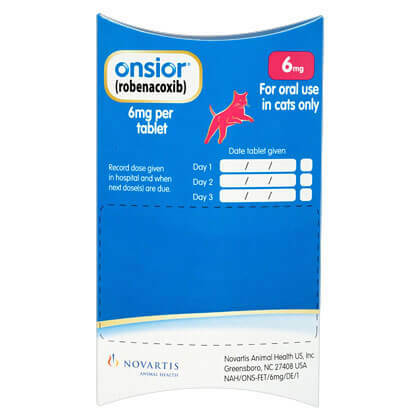 Recently, I was happy to learn that an FDA-approved NSAID for cats has come on the market. 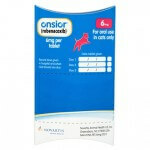 Called Onsior, this medication can safely be used once a day for three days in otherwise healthy cats. 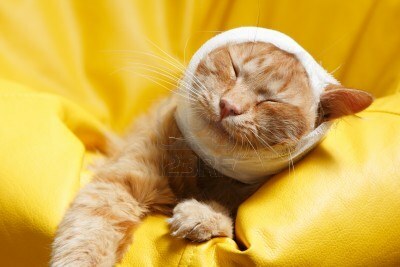 My practice has been using it for post-surgical pain as well as for kitties with injuries or minor wounds. We are thrilled to have a new FDA-approved NSAID for cats; it is just one of many options we now have to treat cats in pain. 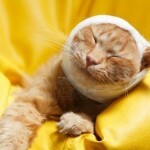 The bottom line is that, since cats are not small dogs, they cannot receive many of the medications that dogs can. And dogs are not small humans, so they cannot receive many of the medications that are safe for us bipeds! Never, ever give Fluffy or Fido a human drug without consulting with your veterinarian first. We have many options available for Fluffy and Fido, some prescription and some over-the-counter, but please ask us before choosing something in your medicine cabinet.